As parents, we all know that getting our kids to eat anything healthy can be a struggle. Trying to find a variety of items for breakfast, lunch and dinner can be hard enough, but finding “healthy” snack options can be even worse. There are just too many unhealthy options to choose from, whether it be a bag of chips or that high sugar pudding cup. But finding a healthy alternative for both the home or school doesn’t have to be impossible. Here are just a few of our favorite snack ideas for you kids. To start us off right there’s cheese. Cheese is a great snack because you sneak calcium and protein into your child’s diet while giving them something yummy to eat. It will also give them plenty of energy to finish out their day. Pair it with veggies or fruit to give your kids a well-rounded snack. Staying with the fruit and veggie snack options, Carrots and celery are the perfect healthy snack for your kids. You can pair them with a number of other foods like cheese, peanut butter, and hummus. With any food, sometimes it might take a little coaxing to get them to try something new like hummus. But once they do, it can be a great addition to your snack bags! 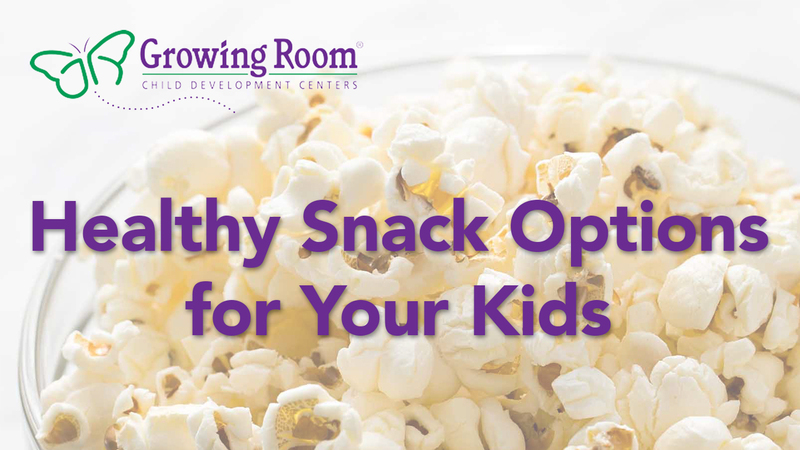 If you are not only having trouble finding healthy snack options at home, but also fun things for your kids to do, then look no further than popcorn. Popcorn is super popular with the kiddos and if you combine it with a movie, then you get two things accomplished with one smart move. Popcorn actually has 4 grams of fiber per 3-cup serving, which makes it a filling snack. Plus, it’s very versatile. You can transform air-popped popcorn with all sorts of toppings. Just remember, we are going for healthy here, so don’t go too far with the butter or sugary toppings. Whether you stick with simple and easy like a scoop of peanut butter or get more creative with it, there are an endless number of snack options to give your kids. You can even get your kids involved in making their snacks. Once you get a few favorites in the daily rotation, mixing it up will be a breeze.